Time has just flown by for me this year. It’s a consequence of not taking any vacation to just do nothing. But despite the lack of vacation, I’ve been working through some games. I wrapped up Asura’s Wrath and even played some Geometry Wars 2. That game is still awesome. It would have been fitting to have a Geometry Wars 3 make its debut on the Xbox One. I even managed to unlock an Achievement (Treaty). While on the Xbox 360, I noticed that I downloaded but never launched Beyond Good & Evil HD. I think it’s time I check that out. I also have Lara Croft & The Guardian of Light to finish as well. After that, I believe my Xbox 360 backlog will only consist of Assassin’s Creed: Revelations. I’m still working my way through Plants vs Zombies 2 but I haven’t touched Mario & Luigi: Dream Team. Animal Crossing made it’s way back into the 3DS XL and hasn’t left since Monday. So what do I have left for the summer? I hope to fix up the house during the next long weekend. I was hoping to do some furniture shopping as well but I just haven’t found the motivation to spend big cash on that stuff. But I ought to if I want this place to appear like a real home. 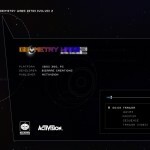 Geometry Wars: Retro Evolved 2 Coming To PC? Update: Looks like it was a typo. Thanks Manuel. There I was, downloading a copy of the newly released remix track from Bizarre Creation’s website, when I decided to check out what else Mr. Chris Chudley worked on. Through his site, Audio Antics, I noticed that he worked on all the Geometry Wars releases, the recent Project Gotham releases and The Club. 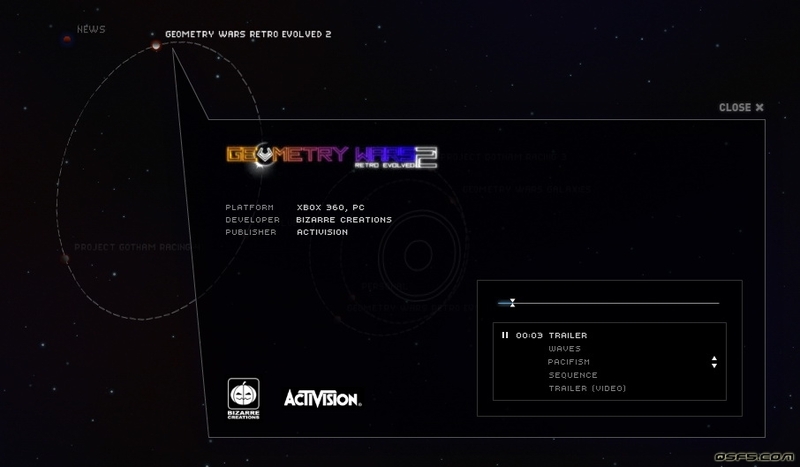 While checking out the Geometry Wars: Retro Evolved 2 entry, I noticed a tiny nugget. Is this a typo? Or does this mean the sequel will be joining its predecessor on Steam? Bizarre Creations PR was contacted for comments. It’s thirteen minutes of Geometry War: Retro Evolved 2’s awesome soundtrack remixed by a fellow named “Chris Chudley” (who did a lot of work in Bizarre Creation’s other works as well). The mix is called “46860 Choices” and was made publicly available from the fine folks at Bizarre Creations. You can download it from their post or from the download link below. I absolutely enjoyed the hell out of this remix.